*Authorized Woodharbor Cabinetry Dealer* Welcome to Kitchens on Broadway--a full-service design showroom and remodeling group that creates everything from luxurious bathrooms and stunning, functional kitchens to family-friendly basements, and more. Our team thrives on providing transformative design that will shape your living experience. Our showroom display showcases high-quality products to satisfy all budget levels. Whether you need design services or simply are looking to purchase materials for your project, we can assist you with your selections and share our professional knowledge. We source a wide range of superb products direct from U.S. manufacturers and also import gorgeous, natural products such as stone and tile. Please contact us today – or better yet, visit us at I-25 and Broadway – on the south side of the gray stucco building. Free parking. At Creative Residential, our success is turning your vision into a reality. We strive to be on-time, within budget, and offer a unique approach to your renovation or remodel project. We are committed to finding solutions for each of our client’s challenges and delivering design that excels. We are a full service design-build company that will see your project through from the beginning to the very end, handling every little detail along the way. Projects range from interior design, to renovations, to additions. We provide creative ideas and approachable design solutions to your most difficult design dilemmas. At Creative Residential, we remove the frustration from the design process and replace it with remarkable results and a memorable client experience. At Creative Residential, we create spaces you live in. About Dan: A Colorado native, Dan founded Creative Residential in 2010. Dan uses his sharp attention to detail and high expectation level to assure that each project is tackled with importance and ease. Dan is a client-focused person who enjoys partnering with you to create a home you will love. Dan enjoys spending his free-time time with his family, and dog, as well as tinkering in the garage on his cars. Welcome to kabi, Colorado’s choice for beautiful contemporary cabinets. Every kabi project is built to order, giving you the freedom to choose from a wide selection of decorative finishes and THE BEST PART IS our cabinets come fully assembled. From standard laminates to high-gloss acrylics, to prefinished sustainable veneers and the textured, high-definition laminates, kabi materials are beautiful, long-lasting and easy to care for. We offer hundreds of finishes ranging from solid colors to natural and abstract patterns; this allows you to mix and match to create your personalized one-of- a-kind designs. And because our manufacturing systems are flexible and fast - no job is too small or too large. Customer support is a priority and our staff members are a team of talented professionals dedicated to working with you and/or your design professional to obtaining an exceptional result. Whether you have questions about specific products, need help with plans or measurements, or require assistance during any phase of your project we are here to answer your questions and support your project. Design | Contracting | Remodeling | Cabinetry | Structural Renovation We are a full service, licensed remodeling company helping you complete your dream remodel from start to finish. If you're looking for a design-build firm who keeps your best interest at heart during the shopping, purchasing, and installation of your project, you're in the right place. We understand that a home renovation is a big undertaking, which can sometimes feel overwhelming and time consuming; when you work with Craftsman's Touch Construction, we simplify the design process for our clients and are involved in every aspect of your entire project. Our happy customers love our attentive approach! While we can truly do it all, our team specializes in designing, selling, and installing beautiful, high-end cabinetry. From a small remodel to a large structural renovation, our clients appreciate our "designer like" method; we help you pick the right products for your home, listen to your needs, and help to create a functional and beautiful space! Since we start with a full budget, our clients are never surprised with unexpected costs, and we take pride in our budget conscious approach. We're excited to hear about your upcoming project... and to help see it through to the very last detail. *Authorized Dealer of Waypoint Living Spaces* At Cabinetry by Cales, we bring you customized solutions to your home's needs through personalized service. We are a family owned business and provide Cabinetry and Counter Tops, we sell many different lines such as Merillat, Quality, Waypoint Living Spaces, Woodland Custom Cabinetry, Arrizabalaga Frameless,Crystal Fine Cabinetry & Canyon Creek so we have a large selection to offer. We are more than happy to install the cabinetry that is purchased from the showroom. Call us or visit us for more information! 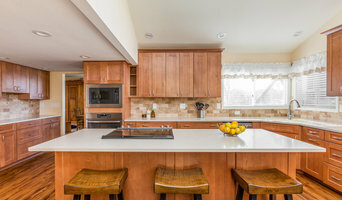 What does a Commerce City kitchen and bath remodeling expert do? 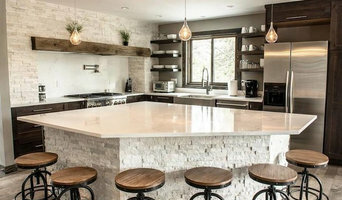 Licensed Colorado kitchen and bath remodelers are contractors who specialize in altering the structure of an existing space, rather than building one from the ground up. Because he or she must deal with a previous builder’s work, the job can get more complicated than new construction. You might wonder why they often specialize in both kitchens and bathrooms, but if you think about those two spaces, they actually have a lot in common. Kitchens and bathrooms include an abundance of fixtures that require careful planning and installation, including sinks, faucets, tubs and toilets that all need water hookups and drainage. They also use similar materials, such as tile and stone for countertops and flooring, due to the nature of their use. So it makes sense that Commerce City kitchen remodelers and bathroom remodelers be one in the same. A bathroom or kitchen remodeler translates architectural plans from page to reality; some are also trained to provide design services so that you don’t have to hire a separate pro. 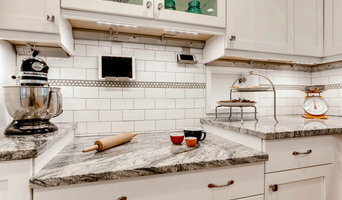 Like a general contractor, a kitchen and bathroom remodeler in Commerce City, CO is responsible for hiring and supervising subcontractors and providing materials when necessary. They also should have a thorough knowledge of Colorado building codes and construction-related legal issues, as well as current design and product trends. Here are some related professionals and vendors to complement the work of kitchen & bath remodelers: Woodworkers & Carpenters, Kitchen & Bath Designers, Interior Designers & Decorators, Architects & Building Designers, General Contractors. 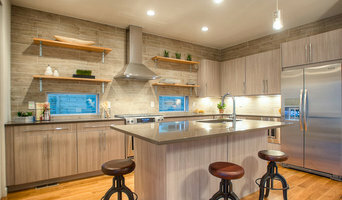 Find a Commerce City kitchen and bathroom renovator on Houzz. Narrow your search in the Professionals section of the website to kitchen and bathroom remodelers in Commerce City, CO. You may also look through photos of Commerce City, CO spaces to find kitchens or bathrooms you like, then contact the bathroom or kitchen remodeler who worked on it.